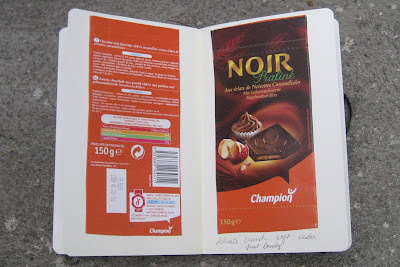 this bar is a little too rich and sweet with the prailine intense creamy filling. 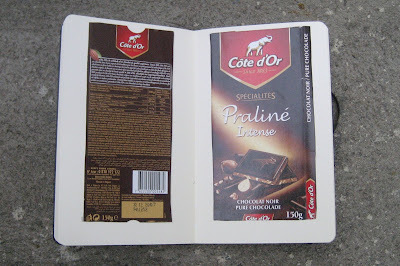 cote d'or would go very far with this bar if they used a thiner paste. do a search for my other cote d'or bars and try those first. Healthy Dark Chocolate - What ingredients should you look for on the label? Confused about how to choose a bar that delivers real chocolate with a good dose of health-promoting flavonols? The key is high cocoa content and less sugar and dairy fat. 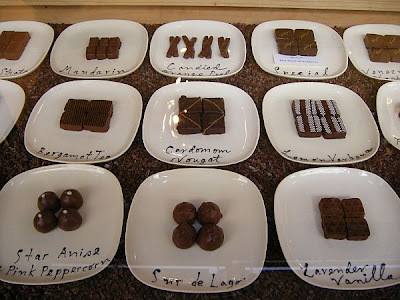 Like milk, which lists percent butterfat by weight, good dark chocolates report their cocoa content by percent weight. Look for 70 percent cocoa or higher (the cocoa contains the flavonols). Note that milk chocolate may have no more than 10 percent cocoa and pure baker’s chocolate is too bitter for eating out of hand. • Cocoa liquor (chocolate liquor): After fermenting and roasting, the inner cocoa bean nibs are crushed and heated. The combination is ground to a thick paste made up of cocoa solids and cocoa butter. Despite the name, it contains no alcohol. • Cocoa solids (cocoa powder): The dry paste, rich in flavonols, left when cocoa butter is removed from cocoa liquor. • Cocoa butter: The ivory-colored cocoa fats that can be separated out of cocoa liquor. Cocoa butter lends chocolate a smooth texture and wealth of flavor (without cocoa solids, it forms the basis for white chocolate). • Vanilla (pure extract, sometimes called Bourbon): A natural flavoring; adds a complementary perfume to chocolate. • Vanillin: A less expensive, artificial substitute for pure vanilla that many tasters consider inferior. • Lecithin: A nutritionally acceptable emulsifier to keep fats from separating out of the chocolate and to give a smooth consistency and longer shelf life. Usually derived from the fats in soybeans. ITHACA, N.Y. -- There is a new reason to enjoy hot cocoa on a cold winter's night in front of a cozy fire. Consider it a health drink. Beyond the froth, cocoa teems with antioxidants that prevent cancer, Cornell University food scientists say. Comparing the chemical anti-cancer activity in beverages known to contain antioxidants, they have found that cocoa has nearly twice the antioxidants of red wine and up to three times those found in green tea. Their finding will be published Dec. 3 in the American Chemical Society's Journal of Agriculture and Food Chemistry , a peer-reviewed publication. Scientists have long known that cocoa contains antioxidants, but no one knew just how plentiful they were compared with those in red wine and green tea. The Cornell researchers, led by Chang Y. (Cy) Lee, chairman of the Department of Food Science and Technology at the university's New York State Agricultural Experiment Station in Geneva, N.Y., say the reason that cocoa leads the other drinks is its high content of compounds called phenolic phytochemicals, or flavonoids, indicating the presence of known antioxidants that can stave off cancer, heart disease and other ailments. They discovered 611 milligrams of the phenolic compound gallic acid equivalents (GAE) and 564 milligrams of the flavonoid epicatechin equivalents (ECE) in a single serving of cocoa. Examining a glass of red wine, the researchers found 340 milligrams of GAE and 163 milligrams of ECE. In a cup of green tea, they found 165 milligrams of GAE and 47 milligrams of ECE. "If I had made a prediction before conducting the tests, I would have picked green tea as having the most antioxidant activity," said Lee. "When we compared one serving of each beverage, the cocoa turned out to be the highest in antioxidant activity, and that was surprising to me. "Phenolic compounds protect plants against insects and pathogens, and they remain active even after food processing. A decade ago "food scientists did not know that phenolics had an important role in human health," says Lee. Lee and his colleagues used two chemical tests that measured how well the cocoa compounds scavenge for free radicals -- agents that cause cancer, heart disease and other diseases. In the paper, the researchers discuss eating chocolate bars instead of drinking cocoa. "Although a bar of chocolate exhibits strong antioxidant activity, the health benefits are still controversial because of the saturated fats present," the researchers write. They explain that cocoa has about one-third of a gram of fat per one-cup serving, compared with eight grams of fat in a standard-size 40-gram chocolate bar. Faced with the confusing prospect of drinking red wine or green tea or cocoa, Lee suggests enjoying all three in different parts of the day. "Personally, I would drink hot cocoa in the morning, green tea in the afternoon and a glass of red wine in the evening. That's a good combination," he says. Teuscher, a luxury chocolate emporium on the bustling Bahnhofstrasse in Zurich, helps make the Swiss city a haven for those with a sweet tooth and a well-filled wallet. ZURICH — When the cold winter wind blows off Lake Zurich, the people who live around this sprawling factory, a 10-minute ride from the center of town, can smell the chocolate in the air. It is especially pungent this time of the year, when the factories are humming to meet holiday demand, the chocolate-maker’s bonanza. But factories like this face a challenge. The Swiss already consume an average of more than 25 pounds of chocolate a year, placing them second only to the British, so how do you get them to eat more? This is driving the chocolate-makers of Zurich to new heights of innovation, with dark chocolates flavored like hot chili peppers, grappa or saffron. It is also making Swiss chocolate a case study in globalization. Swiss chocolatiers, having long ago conquered markets in Europe and North America, are now aiming at the vast expanses of Russia, India and China. 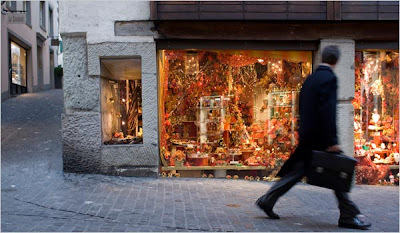 Zurich itself remains a haven for chocolate-lovers, with cozy chocolate shops nestled among the big Swiss banks, like UBS and Credit Suisse, along the noble Bahnhofstrasse. Stores like Teuscher and Sprüngli stand next to luxury shops like Cartier and Chanel. The people of Zurich are the beneficiaries of a process that they, who still refuse to join the European Union, fear in other areas — the free movement of goods across national borders. In just the last 10 years, Lindt & Sprüngli has opened a global chain of Lindt Boutiques, with more than 100 in the United States alone. Now, Ms. Bouachir said, visitors from India and Thailand are coming to see how it is done. Peter Bauer, 41, a pastry chef in a small shop a five-minute walk from the Lindt factory, has been leading the search for new kinds of chocolates. 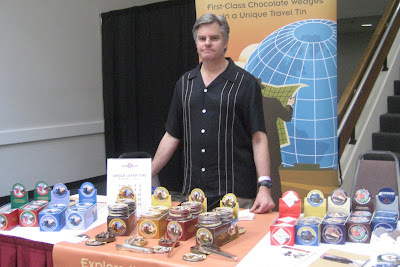 He is the moving force behind the emergence of dark, single-variety chocolates, concocted of beans from a single region. This preference for the tried and true is a major issue for the big chocolatiers of Zurich, like Barry Callebaut, a $3.5-billion global chocolate bean merchant whose offices fill several floors of an office building in a shabby corporate park on the edge of Zurich. From here, Barry Callebaut’s pinstriped-suited global sourcing experts, huddling in conference rooms named for chocolate-producing places like Ecuador and São Tomé, buy cocoa beans, sugar, powdered milk and other ingredients for making chocolate in industrial quantities. One floor below is a chocolate academy, where the company trains pastry chefs and bakers to use chocolate. Barry Callebaut runs seven huge chocolate factories, including two in Switzerland, from which it supplies industrial chocolate to the likes of Hershey, Nestlé and Cadbury Schweppes. It also has its own consumer brands, like Van Houten and Van Leer. Listed on the Zurich stock exchange, its shares have soared more than 50 percent this year. The strategy Barry Callebaut employs to lure the Swiss into eating more chocolate is essentially the one it uses to seduce consumers globally: emphasizing chocolate’s contribution to good health (some studies have found that dark chocolate may be good for the heart); pitching it as a taste experience; and making it as conveniently available, in stores or vending machines, as food or drink. 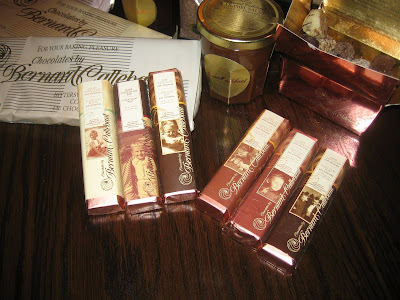 Then, too, in coming months the Swiss may have to pay more for their chocolate, Ms. Tschofen said. The price of powdered milk, a prime ingredient, has doubled over the past year. Chocolate even got caught up in the credit squeeze that has afflicted financial markets this year. Hedge funds, on the lookout for lucrative investments, had gone into cocoa beans, driving the price up, she said, but had to sell their stocks when the financial crisis hit, causing the price of beans to drop again. Walk along Bahnhofstrasse, and the trend to single-source chocolate is evident everywhere, in chocolate made of beans exclusively from one country, be it the Dominican Republic, São Tomé or Ecuador. Many are spiced exotically. Stepping out of Teuscher, one of the leading chocolate shops, Raico Pschichholz, 29, a health care worker on a holiday weekend from Berlin, said he had just purchased two bars of chocolate, one filled with pralines, a soft pasty layer, and another with rose pepper. “I recently found one in Berlin with grape and goat cheese,” he said proudly. Before I sign off, I just want to say thanks to and everyone out there who's supported Recchiuti over the years. We're celebrating our 10th anniversary. Can you believe it? Me neither...You guys are the ones who keep me motivated to come in here everyday and make chocolate. From the bottom of my heart, thank you. to get your free recchiuti 4-oz chocolate bar through december 18th, enter the promo code "gr808" on the checkout page. bummer it's only available on web orders. share the love. spread the code. 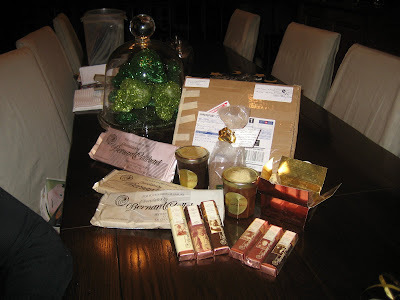 if you are going to make an order, my recommendations include: the feve bar, fleur de sel caramels chocolate, burnt caramel almond chocolate, and the key lime pear chocolate. Cocoa can function in the same way as aspirin in preventing heart attacks, according to a new study investigating its effect on blood platelets.The research will lend further weight to the various health claims now attached to the traditional indulgence. Dark chocolate has recently been making inroads into the health market as its beneficial antioxidant and flavanoid content becomes more widely publicised and consumers switch from milk or white chocolate to keep up with the trend. Scientists at the John Hopkins University School of Medicine say that a few squares of chocolate a day can reduce the risk of a heart attack by almost 50 per cent in some cases. The discovery came after volunteers for a trial on the effects of aspirin were disqualified for eating chocolate, despite being warned that this would interfere with results from the study. Despite being barred from participating in the drug study, the chocolate-eaters blood was examined and compared with others who hadn't indulged in order to determine what effect cocoa has on platelets. Platelets from those who had eaten chocolate clotted more slowly than those who had not - taking an average of 130 seconds to clump together compared to 123. She continued: "Eating a little bit of chocolate or having a drink of hot cocoa as part of a regular diet is probably good for personal health, so long as people don't eat too much of it, and too much of the kind with lots of butter and sugar." The full results of the study were presented to the American Heart Association's annual Scientific Sessions in Chicago yesterday. my, my, my... these gentlemen put out an incredibly superior product! 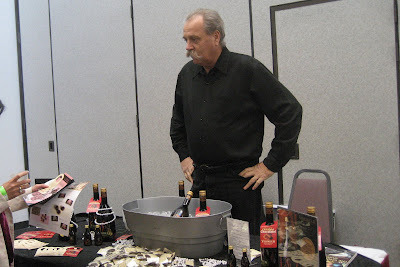 art pollard (left) and rick raile are committed to finding the best beans that go directly to the bar. 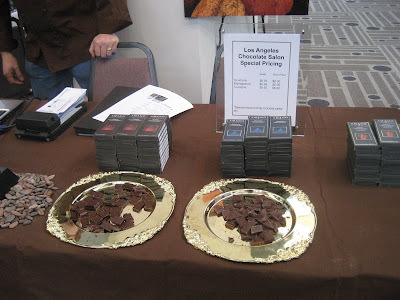 they are "dedicated to reviving the art of making fine artisan chocolate from the bean. [the] chocolate is made in small batches from only the finest cacao beans and the most selected ingredients." i am not a fan of most chocolate liqueurs... sure, i always add them to my cakes or to an espresso on a cold night... but i never would imagine drinking the liquers straight because they are way too sweet. vermeer is an amazing exception! it is a gentle liqueur made of dutch chocolate, cream and vodka. your friend maurice kanbar, the inventor of SKYY vodka, concocted this spirit. 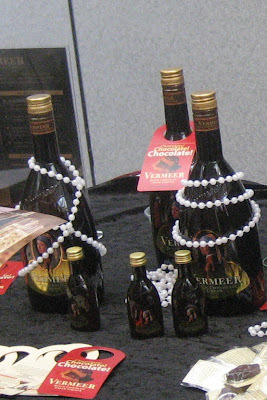 vermeer can be consumed with ice on the rocks, and it can be mixed in a chocolate martini cocktail or added to coffee or hot chocolate. freddy baggerman of vermeer is such a delight. he is pictured below. 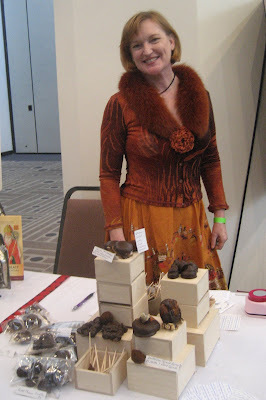 i am so glad i attended this salon... betsy schoettlin, artisan chocolatier of cocoa privé, is quite a fabulous and eccentric character - - - which definitely shows in her chocolate. she carried the most phenomenal chocolates: goat cheese truffles, kalamata olive truffles, prune filled with irish whiskey ganache, ginger topped apricot covered in chocolate, chipotle marshmallow smore, australian glazed apricot with stilton and walnut ganache... all of which were absolutely divine. 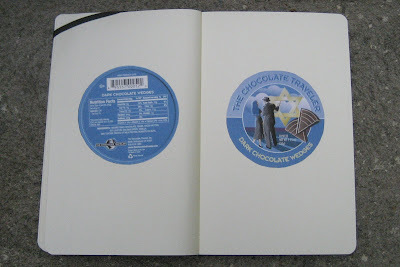 i recently gave a poor review of the chocolate traveler's holiday dark chocolate. 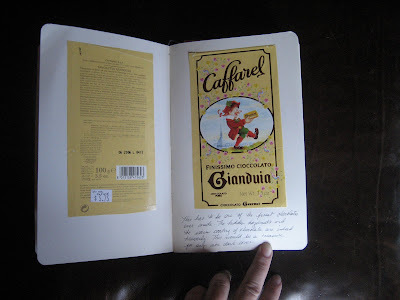 this review completely pained me since i remember the beginnings of my chocolate snob days of always carrying around a tin of chocolate traveler (70% dark chocolate) in my car. after tasting the holiday dark chocolate, i was worried about the quality. i was a tad apprehensive to meet the chocolate traveler group... but i wanted to understand what was really going on with their chocolate. i met with jon alberon and he stated that the chocolate in the holiday tin was around 33% and that it was targeted to consumers who were not prepared for the higher cacao content. hazelnuts, filberts, cobnuts... how ever you call them... those babies caramelized and put in chocolate is my idea of a great time. this bar has a delicate soft crunch... just lovely, although it is a bit on the sweet side. the french are absolutely superb when it comes to food and love! i cannot believe that this is the generic brand for champion stores. dix milles bisous. Chocolate lovers, en garde! 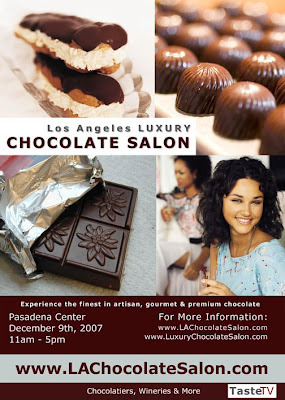 The first major chocolate show in the Los Angeles area this millenium takes place at the Los Angeles Luxury CHOCOLATE SALON on Sunday, December 9th, 2007 at the Pasadena Center. Chocolate aficionados, fanatics, lovers and addicts can taste & experience the finest in artisan, gourmet & premium chocolate in one of the world's great culinary metropolitan areas. 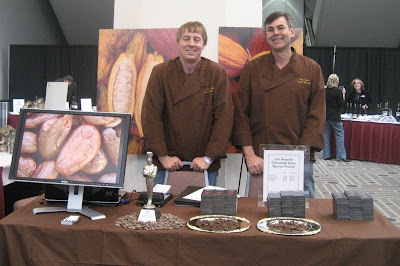 A sample of salon participants includes L'Artisan du Chocolat, Mignon Chocolate, Decadent Tastes, Yum! Chocolate, Vermeer Dutch Chocolate Cream Liqueur, Chuao Chocolatier, Guittard Chocolate, The Chocolate Traveler, Malibu Toffee, Cocoa Prive, The TeaRoom, Amano Artisan Chocolate, Chocolate Covered Company, Randy Fuhrman Events / Randy's Brownies, Silver Stone Wines, Vihuela Winery, Sol Rouge Winery, C'est Tres Chic Chocolate Molds, Le Creuset, Swissmar, Putumayo World Music, Chocolate Television, and much, much more. oy gevalt! get me a spittoon. this is not kosher - - - it tasted like sugar with artificial chocolate flavoring. the cute tin does not make up for the quality of the north hollywood candy. Drop these terms, and people will know which side of the color line you stand on. The Swiss in general had to wait several decades before wandering Italian "cioccolatieri" brought the drink to Switzerland. The first chocolate manufacture was set up around 1750 by two Italians in a former paper mill near Bern, the Schermenmühle. It was not a great success: the locals did not take to it, and the mill was soon given over to producing flour instead. Nevertheless, before the end of the century other factories appeared in western Switzerland - Vevey, Morges and Lausanne - and in the Blenio Valley in canton Ticino. The first chocolate shop in Switzerland opened in Bern in 1792.
dry chocolate but yummy amaretti taste. i had very weird indigestion after this tasting. get it for the novelty and stock up on zantac. 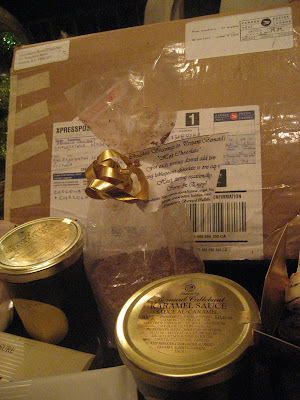 or, the best bet... get a fine chocolate for melting, add crushed amaretti di saronno into it, mold, then eat. also, be sure to impress your friends by lighting the amaretti papers for a rocket launch... here is how to do it.... roll the amaretti wrapper, light it from the top, and watch it lift off. i am really perplexed by chocolove. 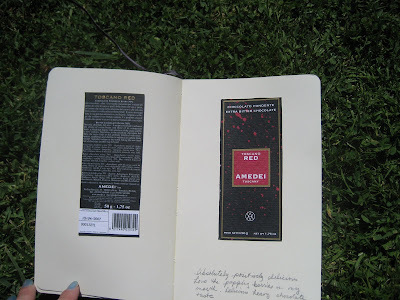 the packaging is really great, the content of the cacao is impressive, and crystallized ginger with chocolate is a great twist in the bar world..... unfortunately, the chocolate is not quite mesmerizing. i wish it had a smoother bite to fully enjoy the ginger... the bar is chalk like in texture. all in all, i recommend this bar as a gift to the novice chocolate snob. 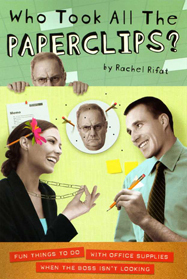 this was such a fun treat from rafal and dean. 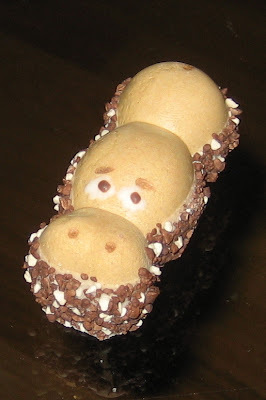 they picked up this happy hippo in spain. i loved it with all snobbery aside! It is comprised of a wafer shell surrounding a soft chocolate center. I love chocolate combined with bread. Pain au chocolat, chocolate chip bagels, toast with nutella…all have the soulful bread texture combined with the dark splendor of chocolate. A good pain au chocolat will have a chocolate center that is still warm and pliable…but how often do you find one of those? Usually the whole thing is stone cold and the chocolate is hard as a rock. If I had the time and the will power I could bring it home and gently warm it in the toaster oven. But let’s face it…that has never, ever, happened. For my money a good chocolate chip bagel is a delight. I love the crunchy chocolate chips offset by the chewiness of the bagel, plus the bagel’s robust breadiness really does play quite nicely with the chocolate chips. When I made my first brioche for World Bread Day I knew it wouldn’t be my last. 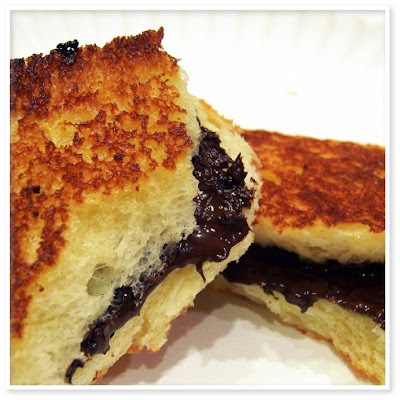 Over the past few weeks I’ve thought about how best to combine brioche with chocolate…and then I was making grilled cheese sandwiches and it came to me. I told the guys I was making grilled brioche and chocolate sandwiches and Alex said, “A chocolate sandwich?!!? You can’t do that…it’s crazy!!”. Oh yes I can you silly boy…just watch me! After the brioche came out of the oven and cooled I sliced the loaf in two and gave half of it up to the guys…it was gone in minutes. The other half I hid for another day…I wanted it to be slightly stale when I grilled it up. These little babies couldn’t be simpler and really pack a huge “WOW” factor. Slice the brioche, butter it, put your favorite chocolate in the center, top it with another buttered slice of brioche and grill it to a golden brown. My only tip is to grate the chocolate in the food processor to ensure it will melt all the way through. The finished product was a magnificent combination of chocolate and tender, stretchy brioche. Everyone loved it. I’m content for now but I bet there are other chocolate and bread combinations I need to try. Do you know of any? by Joanne Silberner Morning Edition, November 19, 2007 · Many people agree that chocolate is good for the soul, and researchers are finding that chocolate can be good for the body, too. But the environment? How could chocolate help with global climate change? 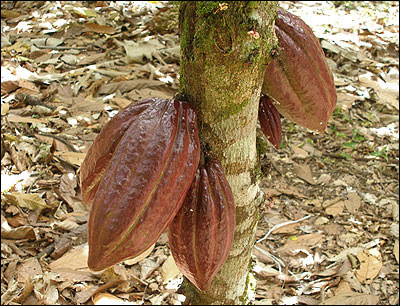 Picture Anna Vigran, NPRCocoa pods grow directly off the trunk of a cacao tree. The seeds inside are roasted and fermented to make chocolate. Thy love is such I can no way repay, The heavens reward thee manifold, I pray. cioccolato fondente bitter chocolate extra 70%. want to taste a bit of heaven? want to hang out with angels? this bar is so heavenly i feel my sins disappear with each bite. amadei is so close to god. 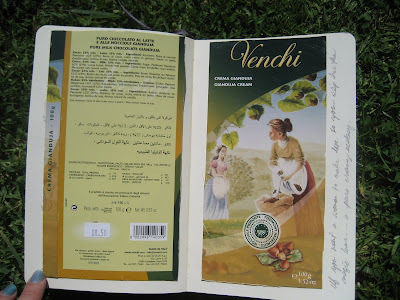 the seeds are produced in the venezuelan penninsula of chuao. yum, yum, yum. very swiss, very milk chocolate, and wonderful whole hazelnuts. great for the non-dark chocolate folks. i really love odd combinations in chocolate. however, with this one, the coconut curry bar lacks any hint of subtlety. the immediate crash of flavors deadens the palate and there is no need to search for any nuance. they are so close to making a perfect combination - - - i just wished they did not dump the entire indian kitchen in this sweet. stick with vosges on this one. waxy mess of a chocolate that i picked up in argentina. it does, however, make a great hot chocolate. oddly enough, mike ordered a hot chocolate at the eze airport upon our departure. he was handed hot milk and a little bar of this national chocolate to stir into his drink. Chemical and archaeological evidence has pushed back the earliest known use of cacao, the key ingredient of chocolate, by 500 years. The chemical compound, theobromine, which only occurs in the cacao plant, has been found on pottery vessels dating back to as early as 1000 BC. Experts say the vessels were used to serve a fermented cacao drink that was made from the sweet pulp of the plant. The vessels were unearthed at sites in Puerto Escondido, Honduras. "The earliest use of cacao in Mesoamerica is likely to have been for a fermented drink," lead author Professor John Henderson wrote in the Proceedings of the National Academy of Sciences (PNAS). "Such drinks may contain up to 5% alcohol in volume," the Cornell University, US, academic added. As well as chemical evidence, a change in pottery vessel shape allowed scientists to pre-date the use of cocoa. It had been known that the seeds were used to make a frothed chocolate drink which became central to social life throughout Mesoamerica. It was drunk at important ceremonies to mark weddings and births, especially by elites. As the drink was frothy, it was served in a spouted bottle with a flaring neck. 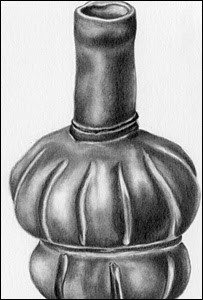 However, long-necked bottle samples that pre-date the spouted bottle were also found to contain cocoa residues. The researchers suggested that this vessel type was inappropriate for frothing but better for pouring. This led the authors conclude that "early cocoa was consumed as a fermented beverage made from pulp", rather than seeds. During the time of the Aztec empire, chocolate seeds were used as an early form of money. 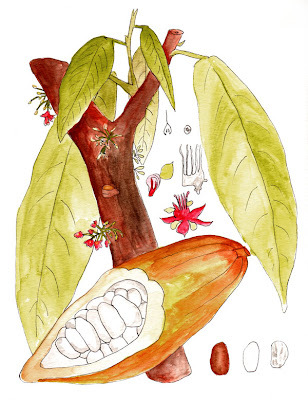 here is a watercolor of the cocoa plant, pod, and bean that i did during lunch . the digital libraries of msu has an amazing collection of historic cookbooks. 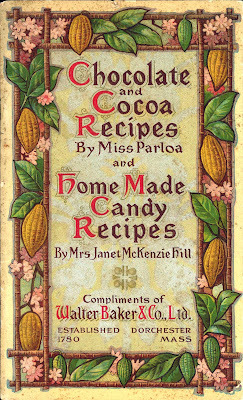 chocolate and cocoa recipes is indeed a treasure. 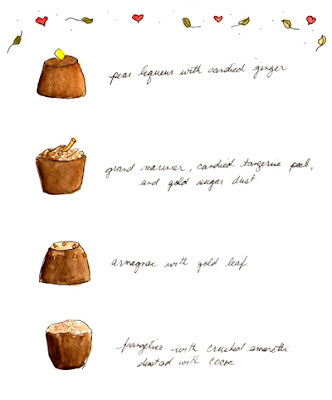 there is historical content as well as many pages of recipes with illustrations. 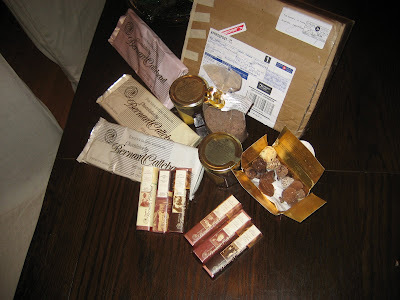 i received an incredible care package of chocolate yesterday from my good friend brad of bernard callebaut. victoria, b.c. canada 623 broughton street 250.380.1515 .
what an amazing delight of chocolate bars (60% cacao dark chocolate with hazelnuts, white chocolate with pistachios...), baking chocolate (72% cacao, 60% cacao, and 35% cacao), chocolate shavings (already used in my latte this morning - yummy), a box of truffles and filled chocolates, hot fudge sauce, and caramel sauce. this will take some time for tasting.... but yes, I have started already... the dark chocolate with hazelnuts is heavenly. a more detailed review is coming soon. thank you brad! you rock! this is from my good friend brad . . . again at callebaut victoria. Melt the Semi-Sweet or Bittersweet Bernard Callebaut Chocolate over a double boiler. Warm the whipping cream and melt the unsalted butter in the cream. Add the melted Chocolate, to the cream while you stir. Add flavoring if you wish. Pour mixture in baking trays (1 inch thick). Let cool in fridge till the mixture is hard. Scoop small pieces with a melon-baller or a coffee spoon. Roll pieces by hand into round or oval shapes. 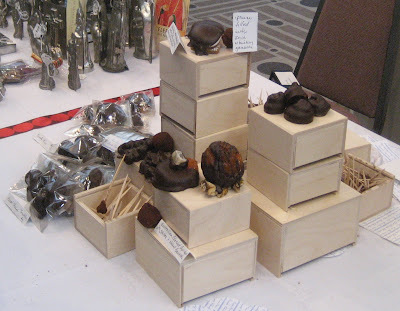 Roll the Truffles in cocoa powder, icing sugar, or anything light. In a saucepan, dissolve sugar in coffee over medium heat. Set aside. In the top of a double boiler over hot, (not simmering) water, melt the dark chocolate, stirring constantly, until smooth. When completely melted, whisk in the 4 tablespoons of cream and the coffee/sugar mixture. Stir until smooth. Allow to cool. Beat egg whites to soft peaks. Gently fold in ½ cup of the chocolate mixture. Pour this latter mixture back into the chocolate mixture, folding gently. Beat chilled cream to soft peaks, and fold in gently until totally mixed. Pour mousse into a large serving bowl, or 8 individual dessert glasses. Chill for 4 hours. yummy. i am so glad her san francisco business has taken off. i am now finding her product everywhere. the most delicate wonderful caramels coated in dark chocolate and dusted with magical sea salt. buy these to give as gifts and you will have friends for life. there is something about the common cote d'or that gets me going. maybe it is because i have to go to france to pick this up in a supermarket. your basic dark yummy bar with almonds. coconut milk chocolate bore. the hype is not worth buying this again unless you want a slightly upgraded replacement for the almond joy bar. very simple. not a grand smashing bar. i ended up using it for hot chocolate. simple, hard, with cherries. just like the label says. not too much savoring and there is a bit of burn on the way down. 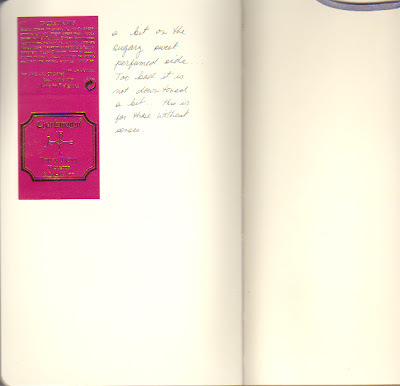 this is fun to give as a gift since it has a love poem inside. however, do not give this to a fellow connoisseur. omg. i wish the caffarel family would make room for me. this bar and their others are completely stunning. rich, soft, and dense with hazelnuts - - - this bar is sure to please. it is quite intense as the name states. no room for subtlety. dark simple. something perfect to take to the movie theater. i was expecting a little too much from this bar. get a bar of after eights and relive childhood memories instead. if you want a woman to make love to you, slip her this magic bar - - - pure creamy ecstasy. fun and light toffee delight. this bar is simple and uncomplicated pleasure. 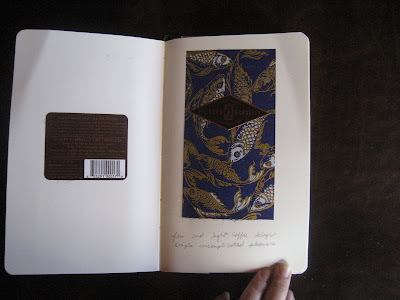 the gorgeous rice paper wrapping makes this a gorgeous gift.